Pioneers in the industry, we offer chemical cold storage room service, chemical refrigerated container on rent and chemical reefer container rental service from India. 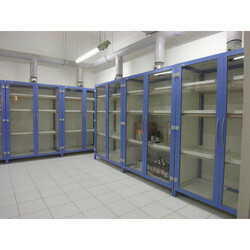 Under the direction of experts, we are offering a wide array of Chemical Cold Storage Room Service. By offering the most suitable room services to our valued clients, we are able to maintain long-term relationships with them. Offered services are highly acquired for their promptness, high level of client satisfaction, cost-effectiveness, and reliability. With an objective to fulfill the demands of our clients, we are offering a wide assortment of Chemical Refrigerated Container On Rent. Offered array of rental services is rendered with the following quality norms. 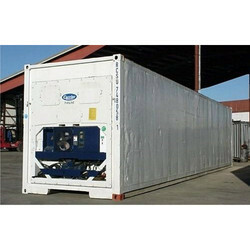 Apart from this, offered refrigerated container rental services are executed as per the customers need. 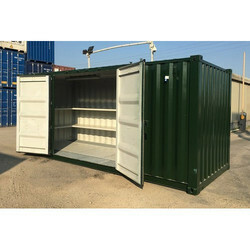 We are engaged in offering a wide range of Chemical Reefer Container Rental Service to our valued patrons. Professionals who render these container rental services have deep knowledge of this domain. Apart from this, our professionals interact with clients and understand their needs to provide this rental service accordingly.